In August 1914, Russia became embroiled in the First World War. Serge Prokofiev remained productive, but the following year moved to the relative safety of a small village in the Caucasus where a young girl named Nina Meshcherskaya caught his attention. The 24-year-old Prokofiev fell for Meshcherskaya and she him, only for their blossoming relationship to be abruptly halted by her parents. At around the same time, Prokofiev wrote a wistful melody that he planned for a ‘concertino’ for violin and orchestra. Prokofiev never let global events slow his creativity and by the following year, his concertino was on the backburner while he raced to finish his opera The Gambler. Rather than withering away, the concertino was only incubated by that hiatus. When the composer eventually returned to it, he felt sure it should take the form of a full concerto. After the February Revolution of 1917, Prokofiev returned to the score and worked on it as he travelled by steamboat down the Volga and Kama rivers. He duly finished it, but the November Revolution meant it was shelved once more. Six years later, in Paris where Prokofiev now lived, the concerto was ready for performance. The audience at the premiere on 18 October 1923 was famously star-studded: Pablo Picasso was there, as were Anna Pavlova and Igor Stravinsky. But Stravinsky was present to conduct his own Octet for Winds, and most of the audience was there to see and hear him do so. Parisians in the 1920s thrived on the new, particularly on Stravinsky’s fashionably hard-edged music. That made for a lukewarm reception to Prokofiev’s work, which was dismissed by the critic George Auric as ‘old fashioned’ and ‘Mendelssohnian’. True, the concerto contained a fair amount of Mendelssohnian cheek and charm, which might have prompted Auric’s comment. It could certainly have appeared to signal a softening following Prokofiev’s acerbic piano concertos and monstrous Scythian Suite. Was that theme, born of the composer’s 1915 romance, responsible? Perhaps. But a more straightforward explanation is found in the instrument itself. Prokofiev was new to the violin as a solo vehicle, and appears to have found it more suited to lyricism than fissile percussiveness. Either way, the concerto’s outer movements are more Romantic in footing than the more edgy, provocative scherzo. But the composer’s mischievous side is never far away. The violinist who made the work famous, Joseph Szigeti, said he was drawn to its ‘mixture of fairy-tale naiveté and daring savagery.’ Prokofiev claimed the concerto’s opening gesture perfectly encapsulated his belief in lyricism. This opening melody, played sognando (‘as if in a dream’), is the very one Prokofiev dreamed up in the Caucasus. Soaring and rhapsodic, this theme returns at the movement’s close, orchestrated with a sprinkling of magic as a flute carries it home with support from the solo violin and a harp. 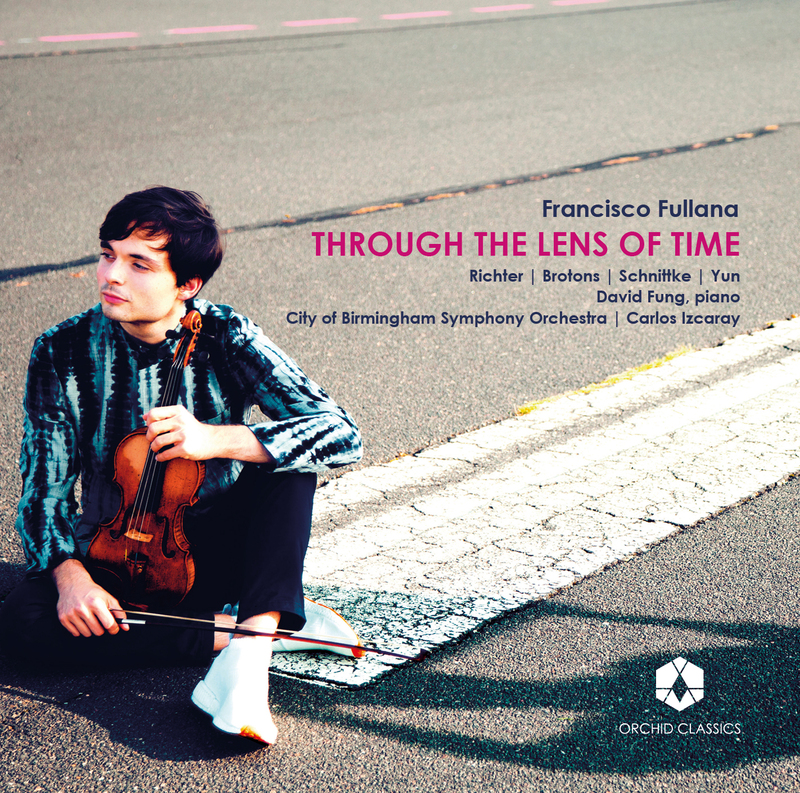 Prokofiev calls for considerable virtuosity in between, as he does in the wild and fiendishly difficult scherzo movement driven by restless ostinatos. Lyricism returns in the concerto’s finale, whose energy soon abates to make way for a return of the work’s opening theme. This time, it breaks free of any harmonic and rhythmic troubles, soaring upwards with rapture and serenity via a series of trills. The soloist’s journey through the concerto could be said to crystalize the central, fertile conflict of Prokofiev’s musical personality: unbounded lyricism versus destructive, forceful cynicism. A different but comparable dichotomy is heard in the music of Carl Nielsen, in which rhythmic energy finds itself pitted against forces that are frequently suffocating and overwhelming. Unlike Prokofiev, Nielsen was a violinist. As a child he played the fiddle in his father’s travelling wedding band and later in life, following studies at the conservatory in Copenhagen, he found himself employed among the second violins of the Royal Danish Orchestra. By 1911, Nielsen had been contracted as a staff conductor at the orchestra that had, the previous year, welcomed a new concertmaster in Peder Møller, a celebrated Danish violinist who had returned home following a decade leading orchestras in Paris. With Møller’s return, Nielsen did what he had been considering ‘every day for the last quarter century’: he started work on a concerto for his friend to play. Nielsen was frequently stumped during the process of composition as he attempted to reconcile his anti-Romantic, un-showy musical outlook with a form traditionally founded on virtuosity and emotional outpouring. The resulting piece poses a fascinating picture of Nielsen’s musical worldview and has provoked much critical debate, not least for its unusual structure. While Prokofiev’s concerto reverses accepted concerto form by framing a fast movement with two slow ones, Nielsen’s is in two halves, each containing a slow section followed by a fast one. The journey those movements plot is just as unconventional. Nielsen’s long concerto begins with grandiosity and ends with apparent frivolity, encompassing all manner of characteristics in between: noble hero, impish pedant, lovable rogue. There are neo-classical principles at work in the Præludium that opens Part 1, before the upright song of the ‘chivalric’ Allegro cavalleresco takes root (Emil Telmányi, a noted interpreter of the concerto and the composer’s son-in-law, claimed Nielsen envisaged ‘a well coiffed Austrian military officer standing to attention’ in this section). Part 2 is neo-Classical in foundation rather than gesture, opening with the exploration of a four-note figure associated with the name ‘Bach’ spelt out on the oboe. The music twists itself through chromatic motions towards a Rondo section in which Nielsen’s inner folk-fiddler squabbles with the orchestra. The composer described the finale as ‘a kind of half-cute, half-cheerful rickety movement, almost without willpower’. Møller introduced the concerto on 28 February 1912 at a concert that also included the first performance of the composer’s Symphony No 3, the Sinfonia espansiva. Some were wrong-footed by the concerto’s two-part structure when it was first heard. Even more of a conundrum was the schizophrenic array of characters that Nielsen presented, some of them unlikely bedfellows. But that, surely, was the point. In the popular song of its Allegro cavalleresco, the impish deconstruction of its Allegretto scherzando and even the two very ‘violinistic’ solo cadenzas, the concerto paints a picture of its creator. But it also mirrors the trajectory of Nielsen’s career as a whole: his roots in rural Danish song, his lifelong mischievous tendencies and the interest in complex polyphony that would emerge before his death. 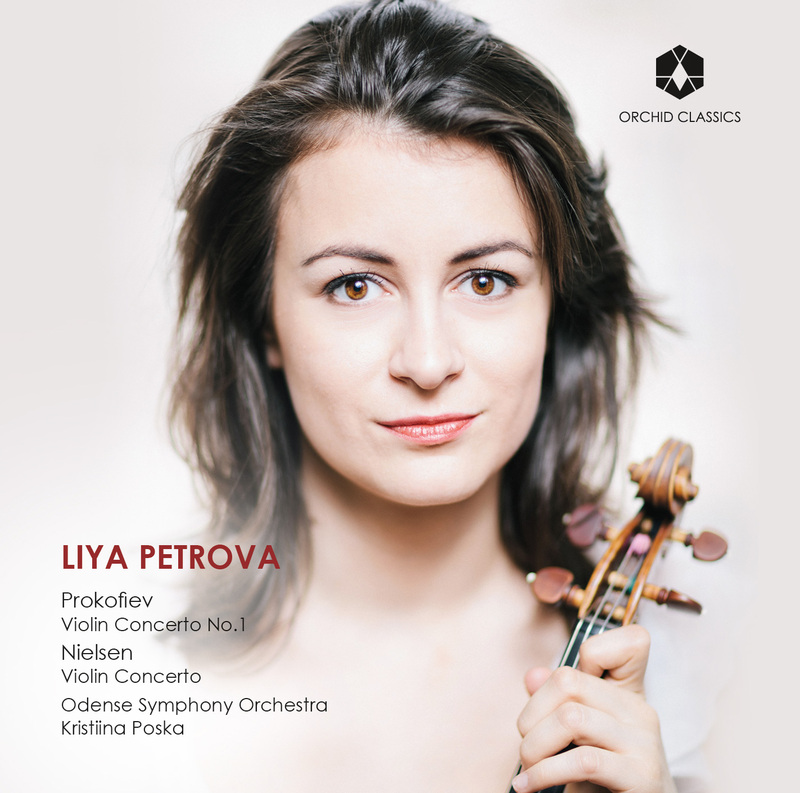 Violinist Liya Petrova’s combination of fortitude and sensitivity has brought her competition victories in Germany, Switzerland, Croatia and Denmark. She was awarded First Prize at the 2016 Carl Nielsen International Violin Competition where she was praised by The Strad for the ‘iron will’ she brought to Nielsen’s concerto and the ‘command’ which she displayed in Tchaikovsky’s. As a soloist, Liya has performed with the Luxembourg, Antwerp, Monte-Carlo and Kansai Philharmonic Orchestras, the Munich and Lausanne Chamber Orchestras, the Orchestre National de Montpellier, the Staatskapelle Weimar and the KlassikPhilharmonie Hamburg. In 2016 Liya was invited to appear at the concert series Martha Argerich and Friends for the second time. 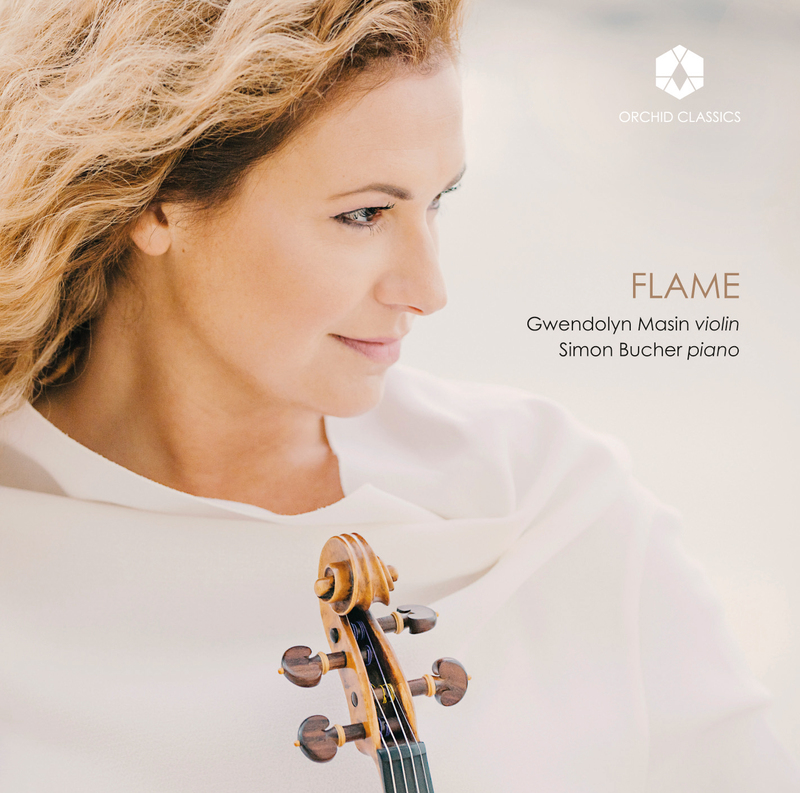 As a chamber musician, she has collaborated with Argerich and with Yuri Bashmet, Mischa Maisky, Renaud Capuçon, James Ehnes, Nicholas Angelich, Yuja Wang, Antoine Tamestit and others. She has made extensive festival appearances in Germany and France. Liya was born in Sofia, Bulgaria. She studied at the Hochschule für Musik und Theater in Rostock with Petru Munteanu, with Augustin Dumay at the Chapelle Musicale Reine Elisabeth in Brussels, with Antje Weithaas at the Hochschule für Musik Hanns Eisler in Berlin and with Renaud Capuçon at the Haute École Musique in Lausanne. She is a laureate of the Tibor Varga and Louis Spohr Competitions and has been admitted as a soloist of the Deutscher Musikrat. Born in the Estonian town of Türi, Kristiina Poska began studying choral conducting at the Music Academy in Tallinn in 1998 and then continued with orchestral conducting at the Music Academy Hanns Eisler in Berlin with Christian Ehwald in 2004. Kristiina Poska has worked with the Estonian National Symphony Orchestra, the Radio Symphonies in Cologne, Leipzig, Saarbrücken/ Kaiserslautern, Frankfurt am Main and Vienna, at Vienna Konzerthaus with Camerata Salzburg, the Tonkünstlerorchester Niederösterreich, the Brucknerorchester Linz at the Oberösterreichische Stiftskonzerte, Munich Philharmonic, Kammerphilharmonie Bremen, Tonhalleorchester Zurich, Sinfonieorchester Basel, Orchestre Philharmonique de Strasbourg, Gothenburg Symphony, the Royal Stockholm Philharmonic and the Tokyo Symphony Orchestra. Opera engagements brought her to Volksoper Wien, Hamburgische Staatsoper, Finnish National Opera, Royal Swedish Opera, the Norwegian Opera and Opera Zürich. Kristiina Poska was supported by the Conductor’s Forum of the Deutscher Musikrat and won the prestigious German Conductor’s Prize in April 2013. Before that she had already received numerous international awards including from the Dimitris Mitropoulos Conducting Competition Athens 2006, from Donatella Flick Competition conducting the London Symphony Orchestra in 2010 as well as at the renowned Malko Competition in May 2012, where she also received the audience prize following the final concert with Danish National Symphony Orchestra. The Odense Symphony Orchestra – one of Denmark’s five regional orchestras – was established in 1946, but its roots go all the way back to about the year 1800. From being a theatre orchestra that also played symphonic music, the orchestra today is continuously developing and expanding its modern symphony orchestra with 72 permanent musicians and a high level of activity. 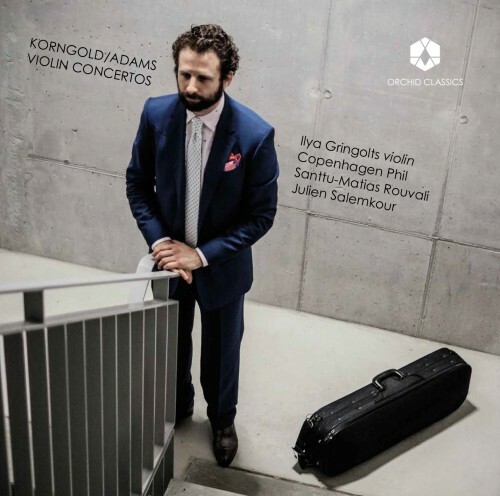 Concerts and productions with Odense Symphony Orchestra vary in terms of size and genre: from symphony concerts, light classical and opera to chamber music, children/youth concerts and crossover. Odense Symphony Orchestra is the owner and host of Carl Nielsen International Competition, and the orchestra and its musicians play an important role in the competition as jury members, repertoire consultants and contact persons to many international artists. The first of the Carl Nielsen International Competitions was held in Odense in 1980. After nearly four decades, the violin, clarinet and flute competitions have established themselves as some of the most demanding and rewarding in the world, by highlighting Carl Nielsen’s musical masterpieces, and offering each winner the chance to launch a significant international career. For more information on Carl Nielsen International Competition please visit www.carlnielseninternationalcompetition.com. You can also find us on Facebook.